The OnePlus One, OnePlus 2, OnePlus 3, OnePlus 5, and OnePlus 6 have all represented OnePlus first (and sometimes only) flagship during their respective launch years. But in 2019, the brand is set to switch things up a little with the OnePlus 7 & OnePlus 7 Pro, the latter of which is the subject of todays leak. Nowadays, these specifications are pretty common in the flagship segment so for most consumers they wont be a cause for celebration. However, for diehard OnePlus fans the news is certainly positive as, until now, the company has remained loyal to 1080p panels. 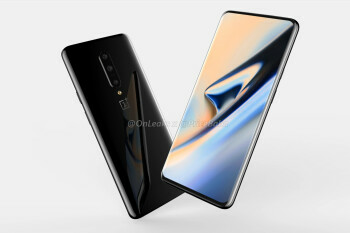 In addition to the higher resolution, its reported that the OnePlus 7 Pro will introduce a high 90Hz display refresh rate, something that should impress tech enthusiasts across the globe. After all, with the exception of the Razer Phone 2s 120Hz display, most smartphones still sport regular 60Hz panels. On paper, this means that the OnePlus 7 Pros display will be much smoother in comparison. It also means that gameplay in apps that support over 60Hz refresh rates should improve significantly. 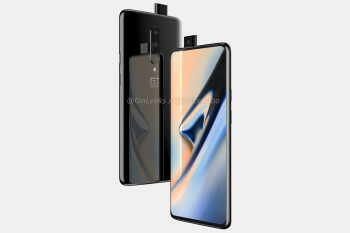 Accompanying the larger display will be an equally bigger 4,000mAh battery  the OnePlus 7 is expected to feature a 3,700mAh cell. This will be paired with USB 3.1 connectivity via the USB-C port and support for the 30W Warp Charge standard that made its debut on the OnePlus 6T McLaren Edition. Todays report also corroborates yesterdays claim of telephoto and wide-angle cameras on the rear that will join the primary 48-megapixel camera. There will also be a selfie snapper contained within the pop-out module, although its specs are yet to be revealed. Circling back to the smartphones front, the large display is accompanied by a wide speaker grill above. This, as suspected, is part of a new stereo speaker setup that is also expected to be present on the regular OnePlus 7. Like most 2019 flagships, the OnePlus 7 Pro should arrive equipped with Qualcomms Snapdragon 855. Considering the smartphones slightly higher price tag, the processor will probably be paired with a minimum of 8GB of RAM and 128GB of storage. However, models with as much as 12GB of RAM and 512GB are extremely likely. Alongside all of this, the device should ship with Android 9 Pie pre-installed alongside the latest version of OxygenOS. The smartphone will also support 5G networks in a handful of European markets and certain Asian countries. However, remaining markets such as the US are expected to receive a 4G LTE version of the smartphone thatll naturally cost less. Published on Wed, 17 Apr 2019 13:29:00 GMT, © All rights reserved by the publisher.